Size : 19.4 x 22.4 inches. / 49.2 x 57.0 cm. 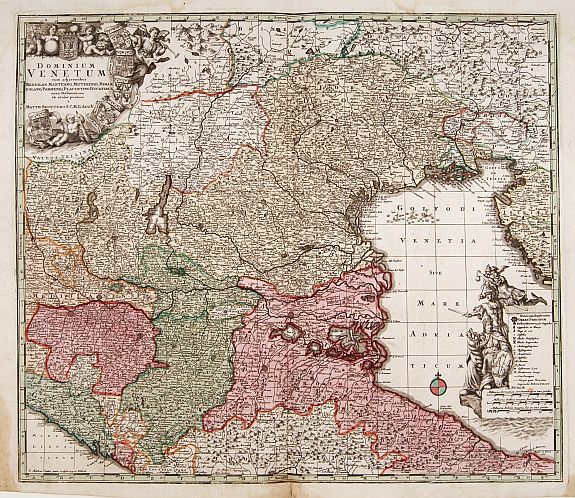 Description :Seutter's well-engraved map has a large decorative cartouche. Detailed map centred on Venice. The map is in original wash colour and has an uncoloured cartouche. Condition : Good impression. Repair of small split lower part centerfold hardly affecting engraved area.